Joran Van der Sloot's wife says he has been tortured and stabbed since his transfer to the hellhole known as Challapalca prison in Peru. Prison authorities claim she's lying. His lawyer says a prosecutor will investigate. Joran was transferred there after a warden said Joran threatened him after taking his cell phone away. Joran said it was the warden who gave him the cell phone and was trying to set him up. Joran's wife says the guards torture the prisoners and the other prisoners want to kill Joran because it would bring world-wide attention to the abysmal conditions of the prison, which could lead to the prison's closing. Inmates are entitled to humane treatment. This prison has been notorious for human rights violations for years (report here.) Here's a 2013 State Department report on Peru's prisons. An appeals court in Peru has upheld the 28 year sentence of Joran Van der Sloot for homicide and simple theft pertaining to the murder of Stephany Flores. Van der Sloot's attorney, Maximo Altez, had sought a lower sentence. According to the chief Judge, Javier Villa Stein, the decision means Van der Sloot will have to serve his entire sentence in Peru before being extradited to the U.S. to face his extortion charge pertaining to Natalee Holloway's mother. He could resist extradition to the United States, where is wanted in the Holloway case, if he obtains Peruvian nationality. That would be a possibility if he becomes the father of a Peruvian child or if he marries a Peruvian citizen. 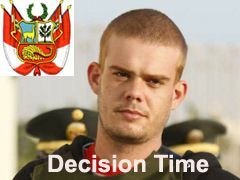 A Peru Court will hold a hearing May 8 on a request by the U.S. for the extradition of Joran van der Sloot, who is serving a 28 year sentence for the murder of Stephany Flores. Van der Sloot is charged in federal court in Alabama with extortion of money from Natalee Holloway's mother and wire fraud, following a sting operation by the FBI and Holloway's lawyer. The Indictment is here. 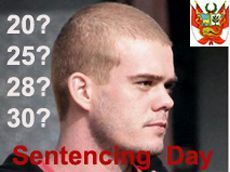 Joran has never been charged anywhere with the murder of Natalee Holloway, thus he is presumed innocent of that crime. The media reports if granted, Van der Sloot will be tried in the U.S., then returned to Peru to finish serving his sentence, and then, assuming he has been convicted in the U.S., returned to the U.S. to serve the sentence imposed here. 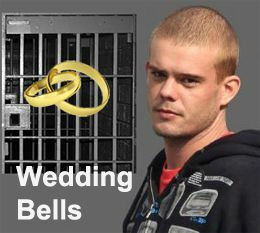 Update: Joran Van der Sloot has been sentenced to 28 years. He was given credit for the time he has served since his arrest in June, 2010. His release date is June, 2038. 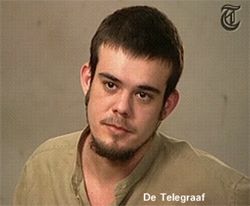 Joran Van der Sloot Pleads Guilty, Gets "Anticipated Conclusion"
Joran Van der Sloot pleaded guilty today to Murder with Aggravated Circumstances and Simple Theft. He's now eligible for up to 10 years off the requested 30 year sentence, but the decision rests with the three judge panel. Larger photo here. Joran's attorney gave his sentencing statement asking for a lesser sentence since he pleaded guilty under the anticipated conclusion law. In mitigation, he said Joran was only 21 at the time of the crime, had PTSD from being wrongfully accused and hounded by the media for five years over the disappearance of Natalie Holloway and the recent death of his father. Joran Van der Sloot's attorney expects he will plead guilty today to the charges of murder with aggravated circumstances (homicidio calificado)and simple theft (hurto simple), for which the prosecution has asked for 30 years. So far, we are headed in that direction (of a guilty plea), nothing special has changed," said Jimenez, who said he would have a final meeting with the accused before the hearing Wednesday. "You don’t have to be very smart to know where it’s going," he said. Article 161. Effect of sincere confession confession .- If, additionally, is sincere and spontaneous....the court, specifying reasons make it necessary, may reduce the penalty to prudently in a third below the legal minimum. The Superior Court of Lima has set Joran Van der Sloot's trial on charges relating to the death of Stephany Flores for January 6. The Court rejected the Flores family's request to increase the charges. He will be tried only on charges of qualified murder and simple robbery, carrying a maximum penalty of 30 years. Joran Van der Sloot's attorney was interviewed this weekend and said that three weeks ago he told prosecutors Joran would plead guilty to killing Stephany Flores but argue the killing was spontaneous and unplanned, falling within Peru's "murder by violent emotion" statute, which allows for a sentence of between three and five years. This would mean Joran could be released in about 20 months. In the U.S. it would be a crime to enter a prison to visit an inmate under a false name. Apparently, it's not in Peru. That's what Beth Holloway did , pretending to be a journalist, not using her real name, hoping to sneak in a camera to tape Joran Van der Sloot for yet another hyped TV movie by Dutch tabloid journalist Peter de Vries. The visitor's log does not contain her name. But even her lawyer confirms she entered Castro Castro prison in Peru and got into his cell -- for five minutes. Good for Joran that he refused to discuss anything with her and handed her his attorney's card. Holloway and De Vries were thrown out when the camera was discovered. The Dutch media initially reported she was detained, but her lawyer says she wasn't and that she broke no laws. "I think it was more to deliver the message that he might be in Peru but she hasn't gone away. 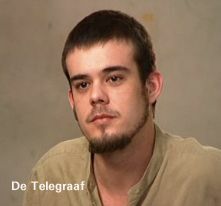 De Telegraaf reporter John van den Heuvel interviewed Joran Van der Sloot at Miguel Castro Castro prison last week. The interview is airing on the program "RTL Extra: Joran Speaks" in the Netherlands this evening. This promo for it is pretty funny, you don't even have to understand Dutch to get the point -- or the hype. Aside from Joran saying he accepted Natalie Holloway's mother's offer of money because she had made his life miserable for five years, there's not much new. In an interview to CNN's "In Session," she insists Joran retained her, promising payment from his mother, and that his confession was voluntary. She also questioned the truthfulness of van der Sloot. For instance, when he signed some documents after talking to his mother, Romero noticed that he signed very differently than what he signed on the police statement, she said. "I told him, 'you signed differently' and he winked his eye and made a silence signal with his hands," Romero said. She denies she was working with the authorities, but doesn't say who arranged for her to meet Joran in the first place. 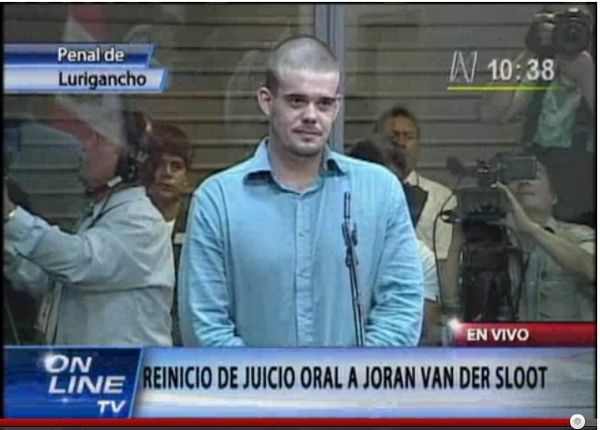 Sunday morning, Peruvian newspapers reported (Spanish here)that Joran Van der Sloot now has three lawyers, two of whom are not Peruvian, and all three will be going to Peru on Friday. (Another article here, translation here. )The articles named New York attorney Joe Tacopina as one of the lawyers. Joe successfully represented Joran in the Holloway's wrongful death lawsuit, getting it tossed on jurisidictional grounds. I didn't write it up yesterday because I thought it was false so why repeat it? Now I see a CBS affiliate in Alabama has picked up story. Too bad they couldn't bother to pick up the phone. It's false. Joe is not going to Peru this Friday. Nor does he have plans to go to Peru any time soon. How do I know? I asked him yesterday and he told me. It doesn't mean this can't change, but it's not the case now. (If it changes, I'll be glad to confirm it. I think that would be great news for Joran.) How do these rumors get started? This is the second time the MSM (here and abroad) has falsely reported Joe Tacopina is going to Peru as part of Joran's defense team. If the Peruvian papers are misreporting facts about Joran's lawyers, what else are they misreporting about the case? And just how much of the U.S. reporting on Joran Van der Sloot is an unverified regurgitation of what appears in the Peruvian (or Dutch)press? Does the U.S. media do this on other foreign topics as well? What a disturbing thought.